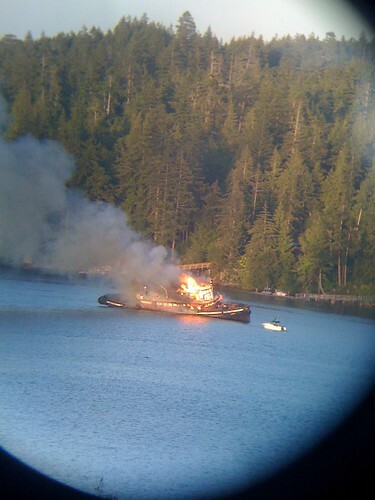 Burning | What The Sooke? 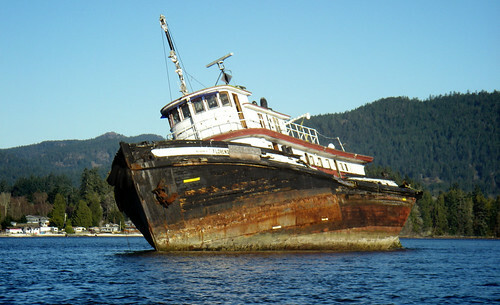 Being a member of the Canadian Coast Guard Auxiliary here in Sooke, I seem to have the worst luck with missing the really interesting emergency calls. 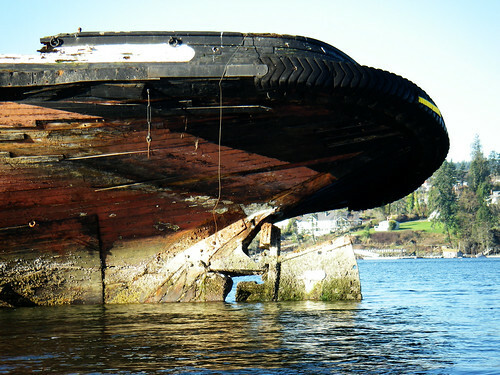 I was on the mainland for Christmas with family when the Florence Filburg broke loose from its mooring and ended up beached across from Billings Spit in Sooke Harbour. And last night, at approximately 8:45PM, sitting in my mother’s house in Delta, BC, my rescue pager went off for the end of the Florence Filburg. I missed out again. It’s pretty obvious that somebody set it on fire. The eyewitness in the video below mentions that two individuals had been caught, but that has not been confirmed by any news source I’ve heard. I’ll try and update this story as it unfolds. Good riddance, I say. It’s an eyesore that will now hopefully be gone for good. What did you see? Have any more pictures or video? What do you think? Let me know.